Over the Easter Bank Holiday weekend, five cadets from 84 Squadron battled through the elements to undertake their Bronze level Duke of Edinburgh initial expedition. Following a route around the Warwickshire countryside, the group were tested with strong winds, rain, hail and a mix of sunshine thrown in too. Despite the weather, moral was high and the group made it to the campsite in good time to set up for their overnight stay. Day two brought more changeable weather but they all made it to the finish point in one piece. 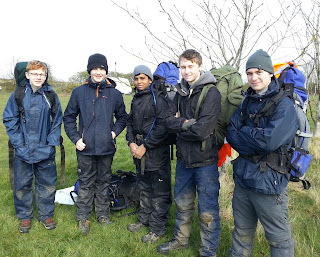 They can now start planning towards their qualifying expedition later in the year.